With all the technology tools out there, how can you sort out which ones are the most useful for your classroom? Dana Huff, the Humanities/Technology specialist for the 2014 Teaching Shakespeare Institute at the Folger, recently offered a valuable breakdown of some of the more popular tools. As she highlights, the first thing to understand when integrating technology into the classroom is that we don’t want to use technology for the sake of using technology. What’s been your own experience integrating technology into your classroom? What’s worked and what hasn’t? Let us know in the comments. 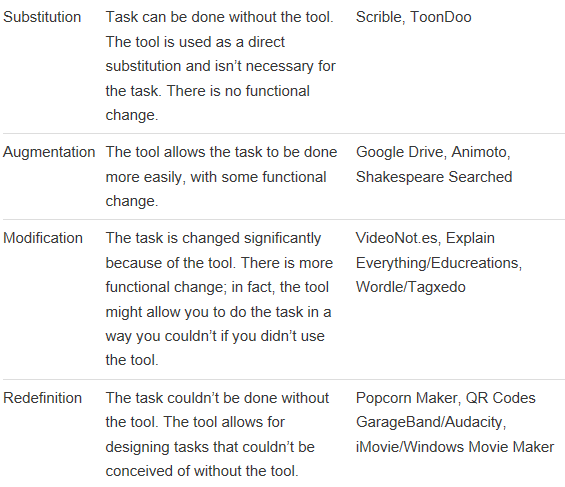 Check out the full post on HuffEnglish.com to read more of Huff’s analysis of specific tools like Scrible, Google Drive, and Popcorn Maker. Are you familiar with the work of Larry Reiff? He is an ELA teacher from NY and a member of the Apple Distinguished Educator program. Apple has dedicated a website to the way he integrates technology into teaching Shakespeare.